"You will be sadly missed, my friend." "Love & Prayers, You will be missed Steve Gregory "
"You will be missed my friend, prayers for family." "I would like to say to the family, I am so sorry for your lost and my prayers are with you all. I have not seen Steve for a long time, but..."
"You’ll remain in my heart forever, just where you been for many years. I’m going to miss your voice and smile. God knows our hearts,..."
"See you again someday 💔"
"You guys are in my thoughts and prayers. We loved Beav and will miss him." "Rest in Peace, Steve. We'll recall the good times. Our thoughts are with the Gregory Family. " "Our prayers are with all of you." 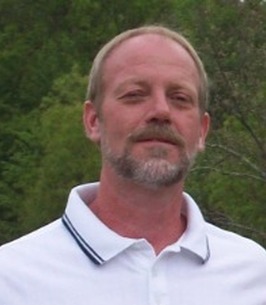 Steven Ray Gregory “Beave”, 55 of Sutton, WV left this earth unexpectedly on Friday October 26, 2018. He was born in Gassaway, WV on July 15, 1963, son of Carolyn Sue Fox Gregory of Gassaway, WV and the late Damon H. Gregory. 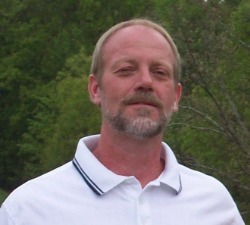 Steve was a class mate of the graduating class of 1981 at Braxton County High School, where he met some of his longest and closest friends. Having a passion for driving truck, he devoted over 30 years at Facemire Foods and currently drove for Cross Country Pipeline, both located in Gassaway, WV. In his spare time, he enjoyed watching and attending Nascar races, grilling out, hunting, and spending quality time with the ones he loved. He adored his granddaughter and loved spending time with her. He took pride in making sure his Peterbilt truck was always shining, inside and out, and the yard was in perfect order, and took great joy in landscaping and decorating his lawn for each season. Steve and wife, Trisha Lynn McCourt Gregory were married on December 8, 1985, in Sutton, WV. Along with his Wife of Sutton, WV and Mother, Steve is survived by his loving daughters, Kyla M. Gregory of Sutton, WV, Amy S. Gregory of Morgantown, and grandchild, Kinleigh J. Mace of Sutton, WV; his two brother Edgar “Ed” W. Gregory of Sutton, WV and Daymond “Glenn” G. Gregory of Gulfport, MS; also, many Aunt, Uncles, cousins, and lifelong friends whom he considered family. He is proceeded in death by Father; Maternal Grandparents Wayne and Effie Fox; Paternal Grandparents Wade and Daisy Gregory. There will be a ceremony remembering and celebrating his life’s adventures on Saturday, November 3, 2018. Time of fellowship will take place at Stockert-Paletti Funeral Home in Flatwoods, 378 Flatwoods Corner Road, Flatwoods, WV 26621 from 5 p.m. until 7 p.m. Family invites everyone to stay for a special word by Rich Demastus, a lifelong friend of Steven’s, at 7 p.m. There will be a burial service for family and close friends at a later date. Fond memories and condolences can be shared with the family at stockert-paletti.com. The Stockert-Paletti Funeral Home of Flatwoods will be assisting the Gregory Family in honoring the Life of Steven Ray Gregory. To send flowers to the family of Steven "Steve" Ray Gregory, please visit our Heartfelt Sympathies Store. We encourage you to share any memorable photos or stories about Steven "Steve". All tributes placed on and purchased through this memorial website will remain on in perpetuity for future generations. Trisha, So sorry for your loss. You are in my prayers. You will be sadly missed, my friend. You will be missed my friend, prayers for family. I would like to say to the family, I am so sorry for your lost and my prayers are with you all. I have not seen Steve for a long time, but I would still like to think of him as a good friend and he will be missed. Love to the family. You’ll remain in my heart forever, just where you been for many years. I’m going to miss your voice and smile. God knows our hearts, he knew you were troubled; i wish I’d known, until we meet again fly high on that mountain your work here is done my dear friend. My prayers are with the Gregory family and friends of Steve’s. Please keep your Faith in God and continue on this journey God has planned for us. You guys are in my thoughts and prayers. We loved Beav and will miss him. Rest in Peace, Steve. We'll recall the good times. Our thoughts are with the Gregory Family.